I had never heard of Aum Shinrikyo’s sarin attacks before we briefly covered it in class, so this was a very informational read for me. The parallel that you drew between the Aum Shinrikyo and the Japanese government is especially fascinating. The fact that Aum Shinrikyo was able to so easily attract so many people from such a wide range of occupations, ages, and classes is a rather frightening thought. Also,it is interesting that they went to such great lengths to spread their message, using more traditional methods like radio and music as well as pop culture vehicles like anime and manga. I wonder why no one outside of the organization took notice of the messages that they were attempting to send? You would think that a group with such large influence would have drawn more notice from the government, especially if their goal was to overthrow that government. Great post. 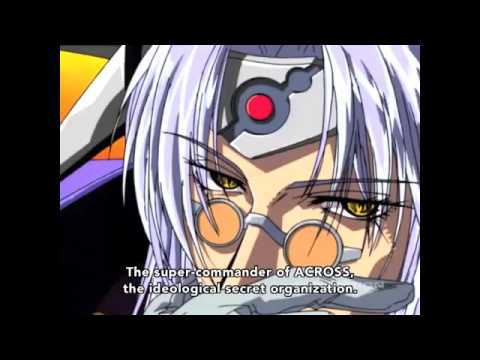 It’s interesting to think that its status as a displacement narrative may have contributed to the popularity of NGE. I’d like to see some more nuance in your discussion of the different responses to the sarin attacks. You go into good depth on the various instances of fiction being used to displace the attacks, but you also cite Murakami’s Underground, which is (as I read it) an attempt to directly engage the material responses to the sarin attacks in order to better understand the burial of the trauma. There must have been other prominent Japanese voices who shared Murakami’s goals, so why did narrative displacement win out so easily? I really like the use of Freudian analysis with regards to these different texts. Would there be any way to incorporate it further? It’s very clear that the sarin attacks were an incredibly traumatic event for Japan to suffer. Additionally, with the use of different texts, it seems that Japan is working through this trauma rather than acting out. Personally, I’m finding it difficult to see, however, how the general Japanese population would be able to look upon their attackers without anger and with empathy. Surely, it is sad to hear that many members of this cult were younger members of society lacking a sense of purpose, but beyond that (or is there some other information I’m missing here?) I’m finding it hard to believe that this is the case. Although, perhaps this is coming from a post-9/11 frame of mind. Overall, this is a really good post. I hadn’t heard of the Aum attacks before this class. I find it very interesting that they were so well organized that they could make their own manga, anime, etc. I’m wondering how they could distribute this media to their members and whether or not they were able to profit from it. I assume that if they were able to profit from this and encourage their members to be consumers of this media then they’d have a very large amount of finances, and with money like that I would assume they would be noticed. I wonder if there were any government officials actually a part of the organization. Very interesting to think about.